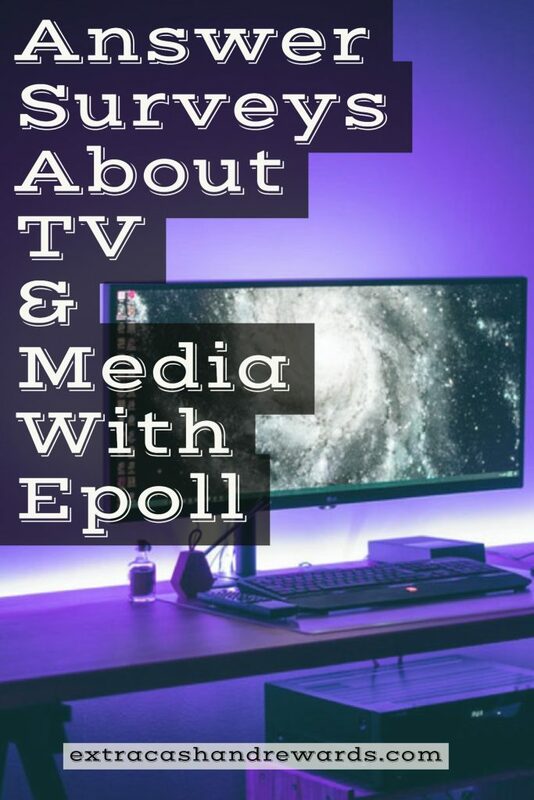 Epoll Surveys is a panel that regularly looks for survey respondents in the United States to answer questions about celebrities, TV, movies out in theaters, and current events in exchange for cash and gift cards. Because this sounds like an awesome trade-off, many people are hesitant to join, wondering if Epoll Surveys is legit. Yes! I signed up for the panel several years ago, took many surveys, and always got my points which I then redeemed for gift cards. In fact, the first thing I redeemed for was a gift card to Applebee's so my husband and I could go out and enjoy dinner. I've noticed there are various reviews floating around online talking about an Epoll surveys scam. Don't believe this. Even though I haven't used the panel in a long time, I was paid and from my research, other people are still getting paid. This is no scam. Epoll has been around since 1997, and they are still very popular — known as one of the “better” panels in the survey industry. You can get Paypal cash, Amazon cards, Best Buy cards, Starbucks cards, iTunes cards, and many other cards for various retailers. You only need $3 to redeem. How long does it take to get what you redeemed for? Depending on what you redeem for, it could take over a month to get your reward. That is the only downside. Despite the fact Epoll pays you in points, I have always been a big fan of this survey panel. Why? Because the surveys are actually pretty interesting to answer. If you've done many market research surveys, then you already know it can get very boring answering endless questions about products. Survey questions about “fun” topics like movies are enjoyable to answer and also go by much quicker. You can also redeem your points for Amazon cards. Even if you screen out of a survey, you still get your points so it's not like you wasted time. The point amounts given for each survey are very generous. You only need $3 in your account (3750 points) to redeem for something. This is hands down one of the better survey panels out there. It can take 4-6 weeks to get your cash and gift cards once you redeem. This is a bit unrealistic, considering there are many other sites paying fast that pay either instantly or within a few days. It's understandable for the wait time to be this long with mailed gift cards, but the virtual things should come faster. They don't. I wish they sent more surveys. I didn't get them as frequently as I would have liked. If you do a Google search on Epoll, you'll see that most other people enjoy being a part of the panel as well. Most of them sing the praises for all the things I mentioned above — the fun surveys, the fact you get points even if you don't qualify, and the low amount to redeem. Most of the complaints on Epoll are regarding the wait time to get paid. And, like me, people complained they didn't get surveys often enough for the wait time to be worth it. There were also a few seniors who complained about never qualifying for any surveys they were sent, and this is a common problem for people who are 50+ when trying to use survey panels for extra money. It is unfortunate, but for some reason many of these survey panels do not target that demographic. Who can sign up for Epoll Surveys? You have to be 13 years old or older and a resident of the United States. Unfortunately Epoll is not open to people outside the US at this time. If you are 13-17, you'll need parental consent first. This is a good one to add to your arsenal. As you may know if you've been following us for any length of time, we don't recommend signing up for just one survey panel. If you're serious about making a decent amount of extra cash with paid surveys, you'll have access to more than one. We have a list of some of the best survey panels here if you want to join more than one panel. Want to go ahead and sign up for Epoll? Go here to get started. Please comment below with your experience with Epoll if you have it. Post originally published March 6, 2013. Updated and republished on March 11, 2019. Great site! Visually engaging and easy to use.